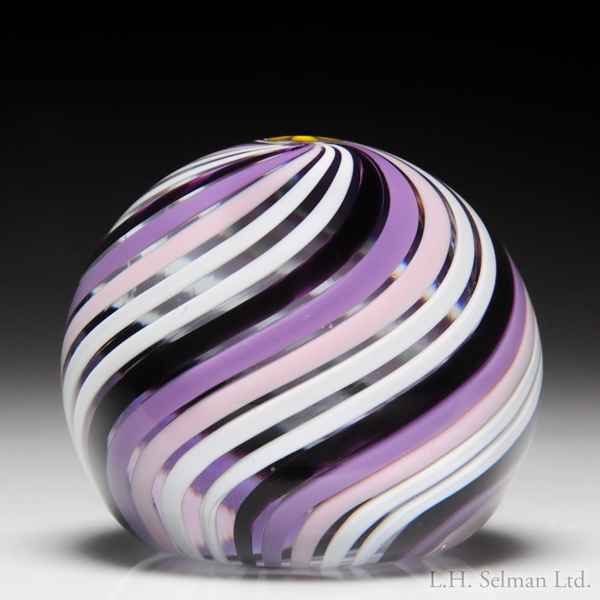 Mike Hunter 2014 pansy and swirl miniature paperweight. A cambered latticinio swirl, in alternating ribbons of white, translucent aubergine and opaque pink and mauve, depart from a single yellow and purple pansy cane at the weight's crest. Signed/dated. Diameter 2 1/16".